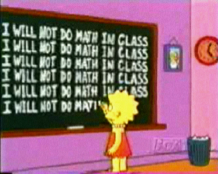 We use The Simpsons in select classes when an episode contains significant mathematical content that we would have covered in the class anyway, or when it serves some other important course goal, such as reducing math anxiety and fostering creative thinking. Please also see our suggestions for successful implimentation and cautions about some of the possible negative effects of popular culture on students. 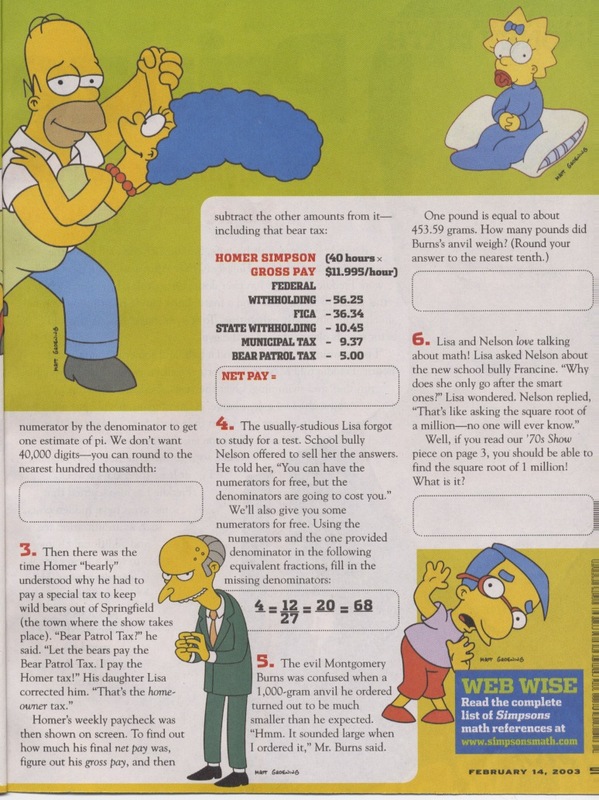 Are The Simpsons 2D or 3D? 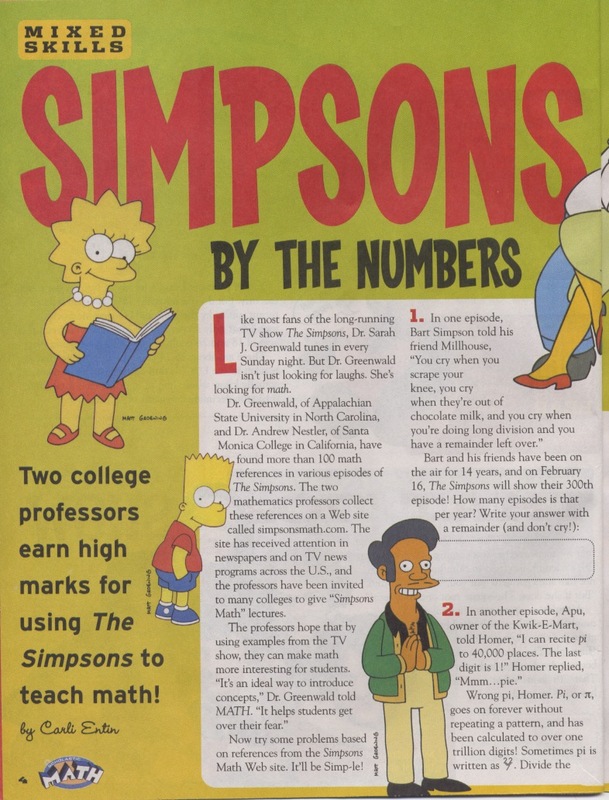 A Function of Professor Frink's Hand? 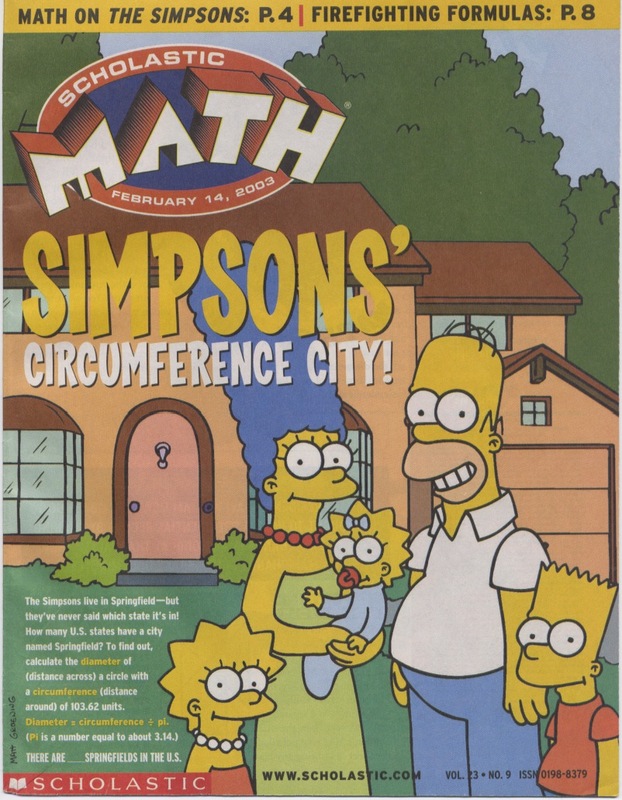 Math on The Simpsons by Carli Entin, Scholastic Math, February 14, 2003, Vol. 23, No. 9 cover story, pages 4 - 5.
you to do math in class!